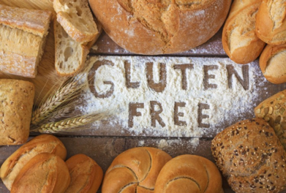 According to Mintel 15% of people are avoiding gluten and sales of gluten-free bakery products are set to grow by 27% in 2019. Traditional gluten-free flour alternatives present many challenges to consumers, specifically in terms of texture and flavour and new alternatives are sought. DuPont Nutrition and Health – Consumer Attitudes Survey 2018. Cassava is a root similar to potato or yam. It is a source of nutrition for over 500m people across the world and its cultivation has extended socio-economic benefits for women and farming communities in which it is found in Africa. Cassava Flour is considered the closest 1:1 substitute for wheat flour in unleavened products such as flatbread, tortillas, pancakes and specific types of baked goods such as lava cakes, brownies and muffins. It is also perfect for those following Coeliac and Paleo diets as it is grain free and gluten free. The main advantage Cassava Flour offers is that it provides a smooth texture without the graininess of other flours such as rice flour and without the need to mix multiple flours in an attempt to “match” the texture of normal wheat flour. Amma Gyampo, Director of The DANN Group and Head of Sustainable Markets and Communities at Amdeco says “We are proud to be bringing this flour to the UK from factories in East and West Africa where we support local cassava farmer groups and communities, training them in sustainable agricultural practices and providing access to global supply chains. 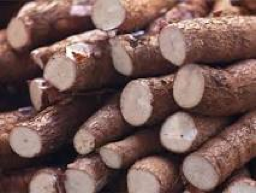 We are keen to find partners in the UK to enable us to supply cassava flour to support our local farmers in a sustainable way. This is what we are passionate about at Amdeco, supporting women, farmers and the youth to improve the efficiency of their entrepreneurial endeavours and their livelihoods without the handouts of old”. We encourage food industry product managers, ingredients buyers and new product development teams to work with our Cassava Flour to create new recipes for this growing segment and find the innovative ways to utilize this grain-free, nut-free and gluten-free baking ingredient”.